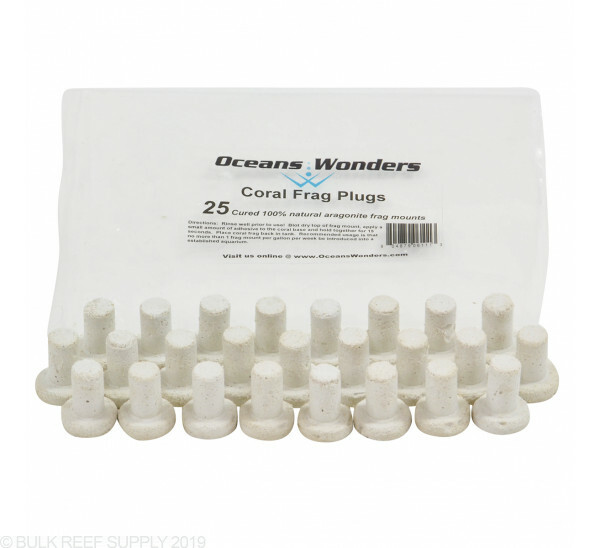 Oceans Wonders Coral Frag Plugs are perfect for the propagation and fragging of hard and soft branching corals such as Acropora, Birdsnest, Montipora, Kenya Trees, Xenia, etc. Oceans Wonders Coral Frag mounts are perfect for the attaching coral frags including hard and soft branching corals such as Acropora, Birdsnest, Montipora, Kenya Trees, Xenia, etc. They are bright white in color and fit into standard egg crate or into small cracks or crevices in your aquarium’s live rock. They are produced using white reef sand. This sand is a natural calcium based sand which has been shown to speed the spread of coralline algae growth and corals on the plugs. Great plugs.. Used them many time & love them.. 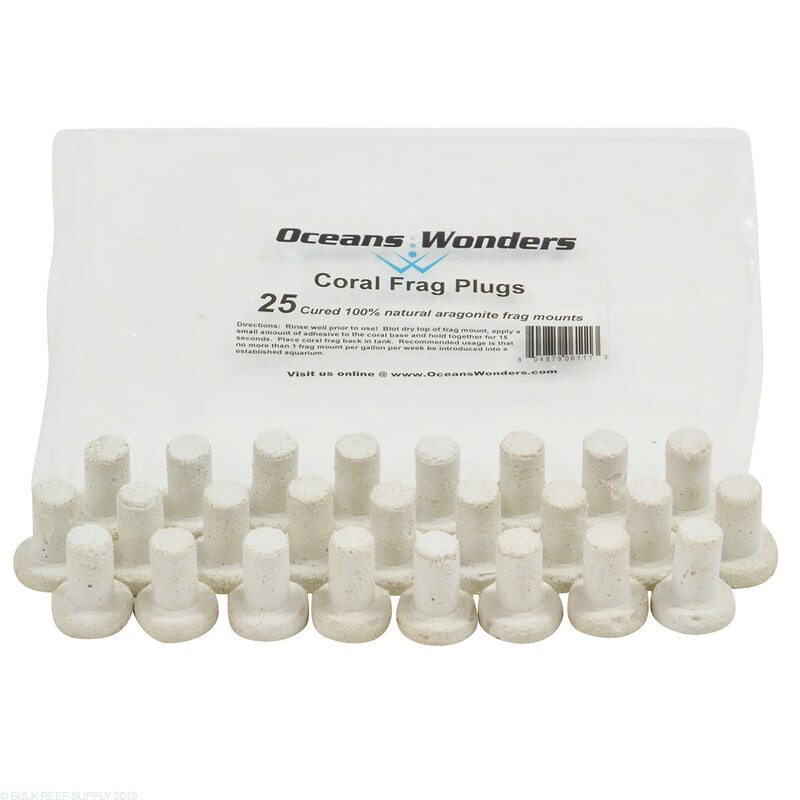 I ALREADY OWN THE OCEANS WONDER FRAG RACK , SO IT WAS A NO BRAINER FOR ME TO PICK UP THE FRAG PLUGS. FITS PERFECTLY INTO THE RACK. GREAT PRICE TOO . Theses are great!! Highly recommended! Maybe its the sand versus the ceramic, but the coralline goes much more quickly on these in my tank, making them much less an eyesore while the coral grows in. My only issue with these plugs is the loose grit on the surface. In order for them to hold superglue well, they should be rubbed vigorously over a cloth or similar. Otherwise, great for the price. Love how they fit the egg crate perfectly.Shipping cost does seem a bit high tho. These plugs are perfect in both quality and price. BRS ftw. Great item for sand bed or frag racks/egg crates and when you are ready to put in displays all ya gotta due is dremel the bottom piece of a cement away which eliminates the rock drilling. Or no dremel and easy to sell.